An important part of setting up your TV antenna is getting your indoor connection point installed. Your indoor connection point is important because it is the link between the TV in your home and the antenna cables that are connected to your outside TV antenna. If the connection point is incorrectly installed, then you can end up with inferior audio and image quality when watching your TV. 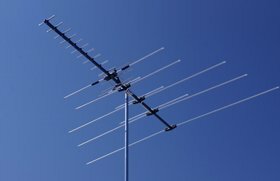 At Adelaide Telefix, we specialise in installing connection points for your TV, so we can install it in the best way for your particular home or situation to ensure you get the best viewing experience, and we can also install multiple connection points so that you can have multiple TVs connected to your outdoor antenna at once. 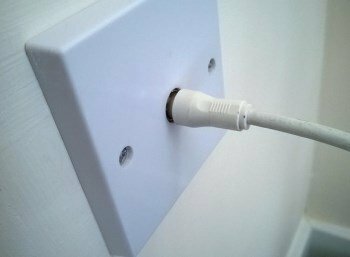 When getting a new connection point installed, it is important to have the connection point placed appropriately in your home, since where the indoor connection point is placed can affect your TV's audio and picture quality. Our expert team of technicians have years of experience installing connection points in homes and businesses, and we can discuss your particular home setup and work with you to install your new indoor connection point in the room or area in your home that works best so that you get the best possible audio and image quality for your TV. At Adelaide Telefix, we can also install additional indoor connection points for your home. Having multiple connection points is a great idea because it means you can have multiple TVs in your house connected to the TV antenna at the same time, and it also lets you move a single TV between multiple rooms while still being able to connect the TV to the antenna. Contact us if you would like additional indoor connection points, and our technicians can set up new connection points for your home. If your indoor connection points are causing problems, then your indoor connection points may need to be repaired. Our technicians are experts at fixing indoor connection points, and we can help get your TV the best possible sound and picture quality. So if you want to get a new indoor connection point installed in your house, or you want additional connection points, Adelaide Telefix are the experts to get in contact with. Our technicians will install your indoor connection points in the best areas of your home so that you get the most optimal viewing experience out of your television.